Wavify NextMessage is the premier enterprise messaging system designed for the most demanding environment. While delivering exceptional scaling capability and performance, NextMessage is also intuitive to manage and easy to use. The turn-key solution comes ready with build-in collaboration system to boost enterprise productivity, and e-mail messaging security to protect your valuable e-mail information and transaction. NextMessage provides all-in-one messaging and collaboration solution in one appliance form factor. The built-in standard solution include e-mail, calendar, to-do lists, contacts and file. NextMessage TrueShare Technology, by employing an innovative “tag and share” technique, allows you to bundle emails, events, contacts and files all together in a single tag and share it with your team members. With rich web client UI based on Adobe Flash technology, it offers application-like features such as real-time content preview or drag-and-drop support. With jigsaw-like appliance components, Wavify offers many options to compliment NextMessage for every industry demands for the complete messaging solution. Wavify Archify is the email archiving appliance option that specialized built for NextMessage. but it can also working comfortably together with any other standard email system. Archify provide continuous e-mail backup, a point-in-time e-mail restoration, data loss prevention, and regulatory compliance support. Archify works in plug-and-play manner with NextMessage, while can be easily integrate through mail journal or virtual mail gateway mechanism to other mail system to act as their external mail archiver. Wavify NextSecure is a unified authentication appliance, providing both LDAP and RADIUS for NextMessage and other applications for the centralized user database and single sign-on solution. Built for high performance service provider scale, NextSecure can handle ten of thousands concurrent authentication from both Application and Network equipment authentication requirements. Private cloud authentication architecture is also available for branch solution. Wavify NextStor is a cloud-enabled offload storage appliance built specially to handle heavy-load file serving service. NextStor can be scalable offload any type of large scale file from e-mail attachment, web image, database BLOB, or any type of documentation. NextStor can work as NextMessage option in plug-and-play mode, but it can also work with any other data intensive file serving system or web service. With scale out clustered architecture, NextStor can be used to build any part of your next virtualization service that involving any file serving, plus it can serve as enterprise offload NAS system with full features NAS support. 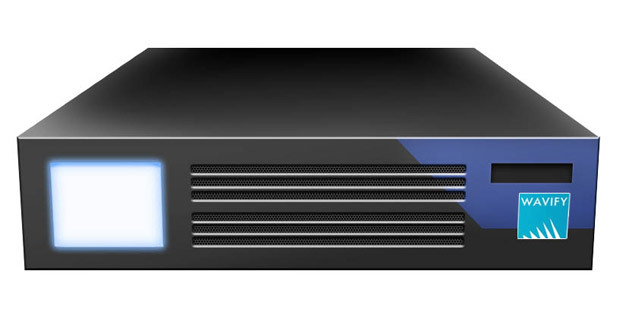 Wavify TimeNX is an ultra high precision GPS-based time server with Stratum-1 time service that allow you to synchronize every devices in your organization with TimeNX and leverage your virtualization infrastructure, clustering system and security solution.